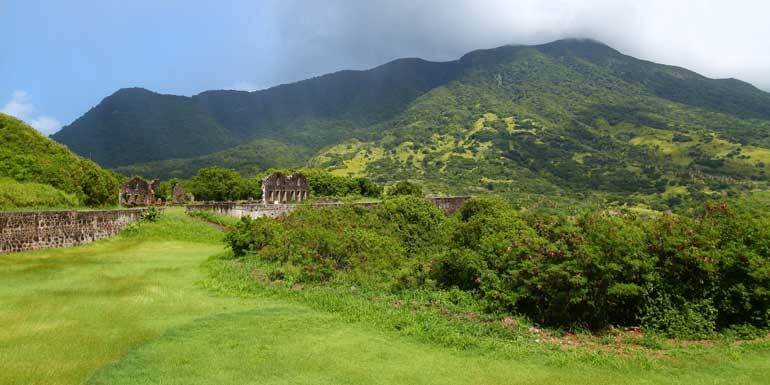 Mention St. Kitts to just about anyone, and chances are they’ll draw a blank on this low-lying Leeward Island. That’s why it’s such a special port; it’s one of the Caribbean’s last authentic places — once you bypass the commercial cruise terminal. 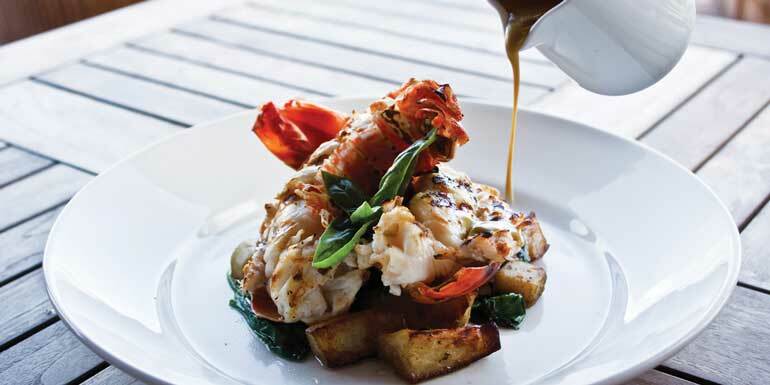 You can stroll from Port Zante right into capital Basseterre for West Indian flavor. Locals walk slowly, chat easily, and are fiercely proud of their history. 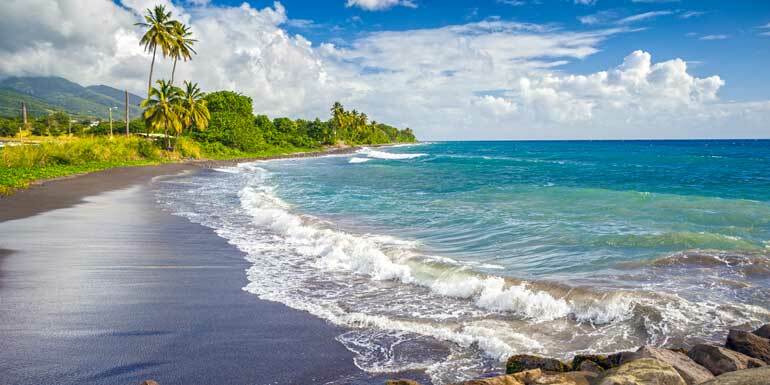 U.S. dollars are accepted, along with the local East Caribbean dollar, so hop in a taxi and make your way into this rain forest- and beach-filled land. Breakfast: Ballahoo Restaurant – To be truthful, most Kittitians eat breakfast at home. But if you skip the ship buffet, walk over to the center of Basseterre and check out this restaurant, where you can sample local dishes, including saltfish in Creole sauce and oat porridge with banana. 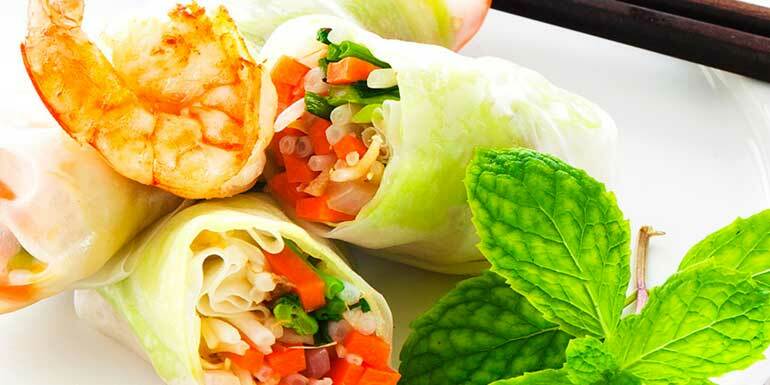 Lunch & Dinner: Spice Mill Restaurant – For an early dinner before the ship sails, check out one of St. Kitts’ newest spots. 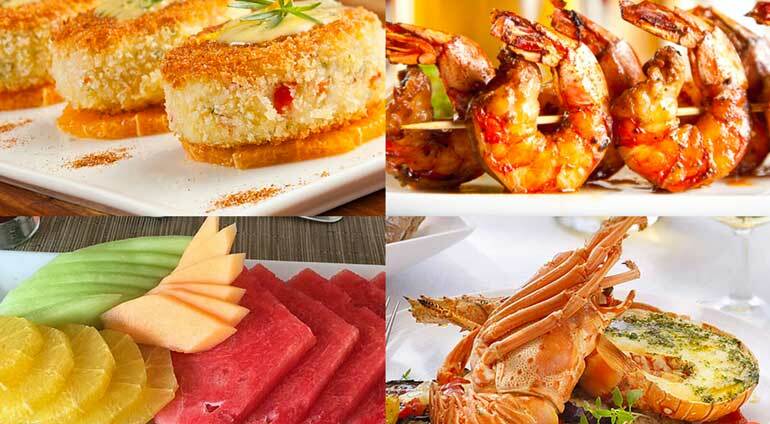 A combo of beach club and gourmet restaurant, this two-year-old establishment on Cockleshell Beach serves grilled local wahoo, mahi mahi souvlaki, and wood-fired pizzas, as well as good local rum punch. Dessert: American Bakery – End your visit with a cooling sorbet made with sorrel — a popular island fruit — at this bakery, which is just a few minutes’ walk from the port. Tip: “Pitt Stop” is a Friday afternoon tradition. Local barbecue masters set up on Bay Road in Basseterre and sell grilled fare from makeshift drums. Hop from stall to stall, gorging on barbecue chicken, ribs, and fish. 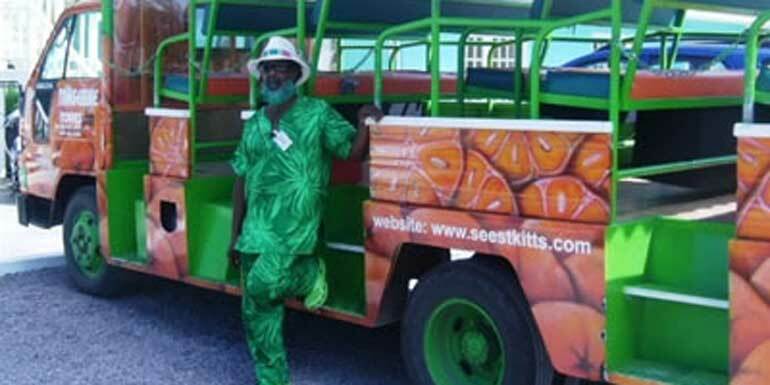 For everyone: Tangerine Tours – Ask for guide Christian Rameshwar, aka “The Tangerine Man.” He’s a character who paints his beard different colors every week and serves a mean rum punch from the back of his orange truck. His potent cocktail ensures that your island tour is anything but boring. For couples: Trinity Stables – This stable in Frigate Bay offers half-day horse riding tours through the rainforest or along the beach. 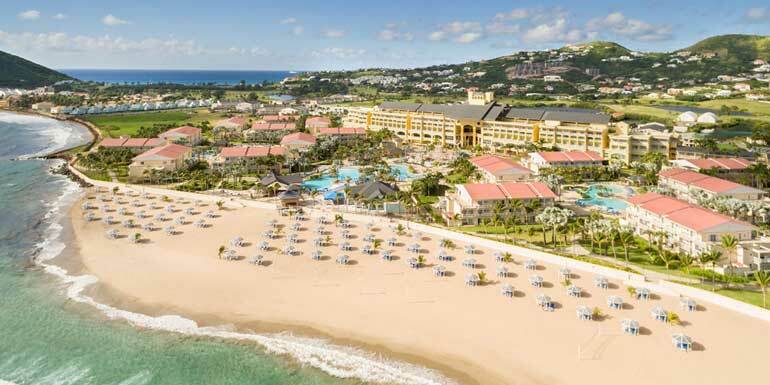 For families: St. Kitts Marriott Resort and The Royal Beach Casino – Want to spend the day at a resort? The best (and cheapest!) place to go is the Marriott, which has a great day pass for cruisers. Take the 10-minute taxi ride from port to Frigate Bay, pay a $35 fee, and enjoy the facilities. The resort has three pools, complimentary beach palapas and lounge chairs, and your rate also includes discounts at the spa and restaurant. Also, for a small extra fee, you can use a day room for changing and showering. For the adventurous: O’Neil’s Rainforest Tours – St. Kitts is an island with true rain forests and plenty of mountainous terrain. Hire a guide for a trek to Mount Liamuiga, a dormant volcano. It’s a challenging hike but worth the exertion — you’ll learn about herbal remedies, and you may even see vervet monkeys. 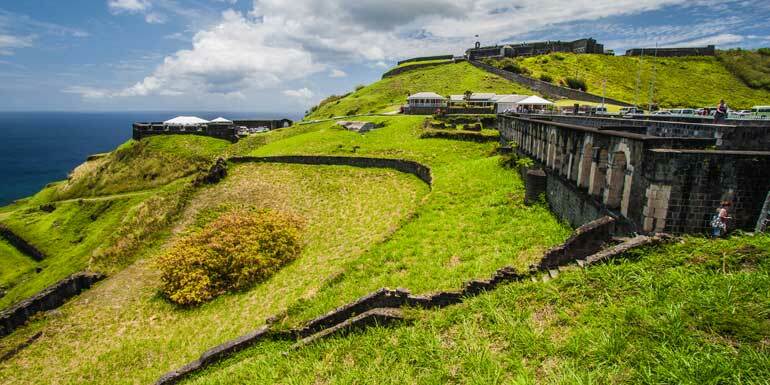 Tip: St. Kitts has a smaller sister island, Nevis, an easy 20-minute ferry ride away. The beaches are lovely there, but that doesn’t mean you want to swap your St. Kitts time for a visit to Nevis. There’s plenty to do on St. Kitts, from plantation exploration to rollicking beach clubs, so — unless you’ve already seen this isle — save Nevis for another time. St. Kitts has a beach for every vibe. Reggae Beach is big for water sports fans. On the quiet, black-sand beach of Dieppe Bay, you just may be the only sunbathers. Feeling social? On the Strip on Frigate Bay, mingling with locals is a sure thing at Vibes Beach Bar. There, you can earn some street credit by ordering a “Sting,” made with Ting grapefruit soda and Cane Spirit Ritchmont, a high-proof liquor rarely found outside this area. 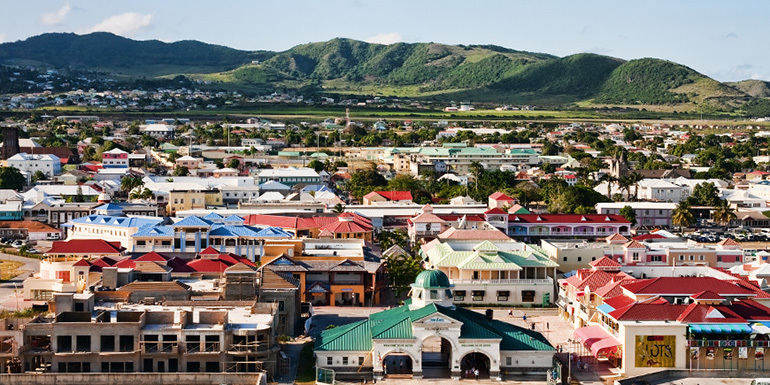 What do you like to do in St. Kitts? Rawlin's Plantation is now closed. Another option is Ottley's Plantation.